There’s nothing better than lying on a lush green garden lawn in the summer months - a green space for you, your children and even your cats and dogs to relax on. But how exactly do you go about creating a lush green lawn and how do you avoid the dreaded brown patches and lumps that we so often see? Every garden is different and the soil composition in your garden may require you to treat it in a very particular way. The best way to determine the right diet for your lawn is to perform a soil PH test which will tell you how acidic or alkaline it really is. This will then help you to know whether to purchase lime which can raise the PH or split pea sulphur which can lower the PH. Soils with a high clay content can benefit from organic matter like sand and gypsum. Just like me and you, your lawn gets very hungry when it hasn’t eaten for a while. By using natural organic fertilisers you can give your soil and grass all the nutrients it needs to be strong, healthy and resistant to diseases. You can pick up organic fertiliser from any good garden retailer. When was the last time you sharpened the blades on your mower? If you can’t remember then that’s a good sign that it needs doing. Dull blades can scuff and tear up your lawn and leave it susceptible to diseases which can ruin it. So remove your blades and then use an angle grinder or file it until it’s noticeably sharper. Of course it may be worth seeking out an expert to help you with this if you’ve never done it before. Another good tip for topping up your garden nutrients is to leave grass clippings where they are instead of raking them away. Cuttings help to keep out weeds and acts as a booster for your organic fertiliser. The roots of grass seed only grows as deep as it needs to. So if you frequently water your garden lawn the roots stay quite shallow in the ground. The solution is to water less frequently, but twice as much. So water your lawn and then come back 1-2 hours later and give it another spray. If you’ve started to see brown patches in your lawn then you need to act quickly. Grass turns brown when it is struggling to get enough nutrients i.e. food and water. There are a few different reasons why this might be happening. It could be caused by a heat wave with little rain fall in which case you should water it yourself or it might be that there are weeds zapping away all your lawn’s food, in which case you should reach for your gardening gloves and begin raking them up. Do you enjoy gardening? Do you have any special tips on growing a lawn or creating a garden sanctuary? Tweet us @TimeForYouGroup and let us know, or alternatively visit us at https://timeforyou.cleaning/uk/ for more tips and advice. At last, early morning greets us with daylight; it’s spring! And with the new, hotter season comes an exciting opportunity. 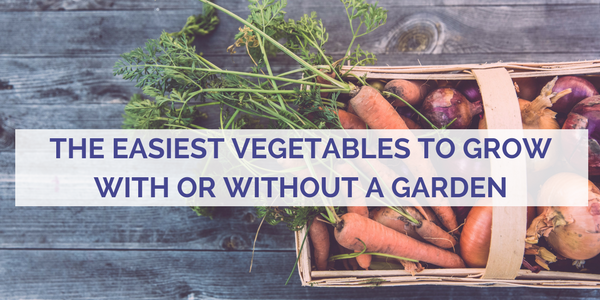 Have you ever fantasized about growing your own vegetables? Perhaps you always wanted to, but thanks to zero garden space, planting greens remains a pipe dream. But what if I told you that growing certain vegetables is possible without a garden? Better yet, what if I told you it’s easy? With the right tools, enough light, and a little spare time, you can enjoy the satisfaction of planting, nurturing and harvesting your own tasty vegetables without a garden. Growing lettuce comes with two perks: it can take just four weeks to grow, and it can be harvested repeatedly. You can choose from a range of seeds: Merlot, Red Oakleaf, Deer Tongue, Salad Bowl, and more. Pick a south-facing window for your prized growing spot. If the chances of sunlight are slim, it’s worth investing in a lamp to bring more heat on the scene (placing your lighting two inches above your shallow pots will work a treat). Lettuces are polite because they’ll tell you when they’re thirsty. Water them when they’re dry, watch them grow, and harvest your lettuce for the perfect salad. Spring onions are simple and fast to grow because they don’t need to be nurtured from seed. Technically, you’re regrowing them. Grab a bunch and cut them down. Tie them together with a rubber band or string, and add them to a spacious glass with water. The only rule of this gardening thumb is to change the water every day. You should notice some growth within a couple of sunrises. By week four, your flavourful spring onions will be ready to pick. A staple in many dishes; tomatoes are as valuable as they are rich and earthy. Certain types can also be grown without a garden, like cherry tomatoes. All you need is a large hanging basket (16 inches would be golden), some moss liner and standard potting soil. Plant your tomatoes around the edge and add some slow-release fertiliser. Water your hanging basket every day, and in a couple of weeks, you’ll be able to enjoy your prized, juicy red jewels. Looking to add a touch of homegrown fire to your cuisine? Chillies are super easy to grow. You just need seeds, a few small containers, fertilised soil (mixed with compost) and a green finger. Each seed needs to go half an inch below the surface of the soil in individual containers. Top tip: add a little sand into your soil for improved drainage. Make sure you plan your chilli planting session around the seasons; after six weeks of indoor growth, your chillies will need to be moved outside (a patio with sunlight will do!). Ensure it’s warm enough for them to begin the last leg of their growth. Carrots are easy to grow but if you’re low on garden space (or have no space at all), baby carrots are a better option. Like chillies, all they need is heat and a pot with some loose, sandy soil. Plant your seeds about a quarter inch below the surface. When the leaves grow 2 inches tall, trim the seedlings (this gives the carrots enough room to grow underground). Your carrots will be ready add to your dishes within fifty-five days; a short time to wait for organic vegetables as delicious at these. Perhaps the most difficult part of growing microgreens is choosing which microgreen to go. You can pick from an array of leafy greens, from kale to watercress. Help your seeds grow by planting them in a small container. Using disposable plates at the bottom of the containers will make it easier to lift them out when the plants are ready for harvesting. You don’t need to bury the seeds; scatter them on top of some moistened potting soil and add some more over the top. Avoid watering your microgreens; instead, use a mister to gently moisturise them. Your woody greens can be picked as early as twenty-five days after planting. Becoming an expert grower of greens without a garden has never been simpler. When I was small, I would feast on my Grandad’s home grown vegetables. There’s nothing better than picking food from a plant and letting your taste buds experience the true meaning of ‘fresh food’. And now you can experience this too, without a garden. ● Watering with chamomile tea will help fight off fungus. ● Pick a breezy area for planting to keep mould at bay. I became acutely aware of how much time I spend on my phone. Whether I’m travelling, having lunch, or spending a night in with friends, my mobile is guaranteed to make an appearance. Because of this, my head isn’t clear; it’s clouded with a constant awareness of my presence online and the desire to be involved in the virtual lives of others. The fear of isolation hooks us in; we are afraid of being disconnected from what we believe is important. But is it really necessary to spend hours on Instagram, to check the news six times a day, and to talk to people as often as we do online? Let’s find out. 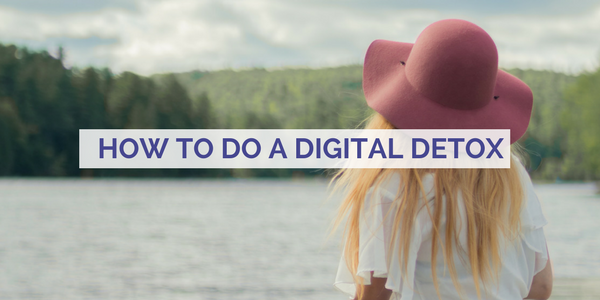 Learn how to manage a digital detox without failing after the first hurdle using these intelligent and unintimidating first steps. Have you ever tried to give up sugar? Wine? Something that’s tricky to live without? It’s hard. The urge to rid yourself of something that has a negative impact on your life can be powerful. So, you confidently go cold turkey because you want to. And that desire should make it easy. Right? Wrong. Take away something you enjoy (or are addicted to) all at once and you’re inviting withdrawal symptoms. The bigger your urges are to reconnect online, the more distant your reasons will get for starting the ban in the first place. Make it easier: start slowly. Pick a time where being online is off limits, or uninstall an app you use regularly. Get used to being online less and less, and give yourself time to decide if a digital detox is right for you. Going virtually incognito can also be worrying for people who care about you. Tell your family, friends, and colleagues what you’re doing, why you’re doing it, and how they can contact you. Be careful not to alienate yourself. Depending on how much time you talk to people online, cutting off all online communication will whittle down the hours you spend socialising. Make up for this by engaging with people in other ways. Arrange meetups, write letters, or organise phone calls with friends and family far away. Yes, it’s more long-winded than typing a message on WhatsApp or Facebook. But because you're making time for someone (and time is valuable), you discover which relationships are meaningful to you. I get it. Disappearing from the online hemisphere can be detrimental job wise, especially if a lot of client interaction and company processes take place online. But do you need to be enveloped in an online bubble after work? Prepare by giving your clients and colleagues an emergency contact number: like your home phone. Then switch off your mobile after stepping through your front door, and enjoy some down time in the real world. It might feel like another trial but keeping a record of the way you feel during a digital detox is very useful. You can decipher how being offline affects your mood, your productivity, or your feelings towards other people. Understanding how your detox affects your mood lets you work out what you should try next. Remember: your detox doesn’t have to follow a set of rules. Identify what works best for you, and develop a clear and powerful strategy to achieve success. Let’s say you’re eating a meal. Instead of 'Facebooking' with one hand and eating with the other, concentrate on enjoying your food. How does it taste? Are you relaxed after a hard day’s work? Are you eating with anyone else? How does being with them make you feel? Savour the details that make you happy. Ask yourself: would I have missed that if I was on my phone? You might be concerned that leaving the digital world makes you ignorant to personal or worldly affairs. There’s sense in that; nowadays, important news is instantly accessible online. But there are plenty of other ways to seek out this information. Engage in stories with others, listen to their reactions and ask questions. Read a newspaper you trust as a reliable source of information. Do this for a week, and access how much you missed out on. Bonus: in an age of ‘post-truth’, you benefit from waiting for a full story. Get reliable, well-reported information, as opposed to ‘breaking news’ click bait online. It’s time to put theory into practice. Pick a date and choose a strategy (or several) from the tips discussed. Become accountable by setting daily targets. Don’t forget to be conscious about the way you feel throughout the detoxing process. It’s the only way you’ll know if it’s working for you. How much time have you saved living in an offline world? What worked for you and what didn’t? We’d love to hear about it. Spain is famous for its white sandy beaches and Mediterranean azure blue sea. But inside Madrid, Spain’s capital city, you can truly experience the country’s richly vibrant history and culture, in addition to some extraordinary sights. 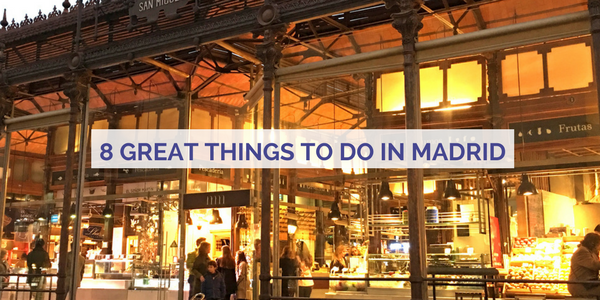 From architecturally gorgeous landmarks, lush green parks, and museums unrivalled in scale, Madrid is an ideal destination for anyone wanting the dabble in a mixture of adventures for a city break. Here are eight of the most unforgettable experiences this remarkable city has to offer. In the heart of Madrid lies Gran Via. Saunter along this street during daylight and marvel at the dramatic and ornate 20th-century architecture. You’ll find buildings honoured with styles from the Vienna Secession, Plateresque, and Art Deco (to name a few). Do you have a passion for shopping? Go wild in Gran Via’s huge array of upscale shops. Stay until sundown, and witness the height of Madrid’s nightlife along ‘the street that never sleeps’. It’s easy to picture Madrid as the bustling hub of Spain. But after a short ride on a gondola from Parque del Oeste (at the west end of Madrid), you can find acres of tranquil space. Casa De Campo is big; five times bigger than New York’s Central Park to be exact. It’s the perfect place to escape from the noise and crowds of the city. Spend the day walking and cycling around the once royal hunting estate. Spot wild deer, rabbits, and birds native to Spain. Explore every corner of the park, and stumble across examples of Spain’s natural beauty: red soil and remarkable rugged pine trees native to the land. Indulge in a mouth-watering breakfast at San Ginés Chocolaterie. Take advantage of a moment where having chocolate and deep-fried batter for breakfast is okay. Because chocolate and churros in on the menu at San Ginés Chocolaterie. It’s the local’s favourite, so if they aren’t being judged, why should you? Better yet, this chocolate haven is open twenty-four hours a day. It can get very busy, but the crowds are worth your patience for such a delectable eating experience. Mercado de San Miguel is stunningly beautiful. It’s an archaic space, where natural light pours in from the glass walls. Hundreds of markets can be found here, where you can experience fresh and authentic smells of the Spanish cuisine. If you’re a foodie, you’ll be in heaven; stalls offer culinary delights from fresh fruit and vegetables, cold meats and seafood, to chocolates, frozen yoghurts, and casks of sangria. A trip to Plaza Mayor could put a dent in your holiday funds but it’s worth it. Grab a table at one of the many bars or restaurants and revel in the electrifying atmosphere (with a free tapas dish to boot!). Plaza Mayor attracts all kinds of entertainment, such as live music and talented street performers. And it’s difficult not to look up at the grand 17th century, three-story buildings surrounding the rectangular square, with over two hundred and seven balconies facing the plaza; it makes for an unforgettable sight. The term ‘minimalist’ has never (and will never) enter the walls of Museo del Prado. The gallery is home to over nine thousand artworks painted by some of the most famous artists in the world. The work of display was chosen by Spain’s 16th- and 17th-century monarchs, giving you an eye-opening look into Spain’s rich history and culture; a once in a lifetime experience for history and art enthusiasts. Because of its popularity, queues are guaranteed, so book in advance to skip a long wait. Entering the Teatro de la Zarzulela is like stepping back in time. Picture a Spanish theatre in the nineteenth century. Instead of sound equipment, live performers and singers take center stage, using the surroundings only to resonate the music and their voices. All of this can be witnessed in the present day. Teatro de la Zarzuela has stuck to its historical roots; each performance echo's the Spain of old, from the costumes and acoustic music instruments to the stunning, traditional backdrops. You may not be able to speak Spanish, but you’ll understand the language of musical mastery during your visit to Teatro de la Zarzuela. If it was possible to step inside a rainbow, visiting Madrid’s Palacio De Cristal would be a similar experience. Ornate glass walls and ceilings create patterns of incandescent light inside this magnificent crystal palace. It has been home to exotic plants and renowned art for over a century, creating an air of fairytale decadence. Outside, you can enjoy picture perfect views from the surrounding lush park, and sit by Buen Retiro’s stunning lake just outside the palace. If you have, I wouldn’t blame you. Madrid has so many ‘must see’ experiences, it’s stressful just thinking about all the things you want to do and see. Thankfully, these experiences aren’t going anywhere. So go ahead and put Spain’s glorious city on your holiday bucket list. And don’t forget to tell us all about it when you finally get to visit! Or perhaps you have already visited Madrid? If you have, we’d love to hear all about it. There are many landscapes around the world that astonish with dramatic natural beauty. A natural Britain, on the other hand, is regarded as quaint and unimposing. But it is partly because of this that makes its scenery so breathtaking. Britain’s landscape is unique; we celebrate it for being gentle, charming and unthreatening. There are rolling green hills, majestic coastlines, historic landmarks and scalable mountain tops. There are crystal clear rivers and treasured waterfalls concealed by woodland brimming with wildlife. Britain’s landscape offers a wealth of tranquil beauty in spectacular variations. And it’s yours to explore and enjoy, with the right map (and walking boots!). Discover the most remarkable and breath-taking walks this island has to offer. It’s places like St David’s Head that make the British coastline such an enchanting place to explore. Pembrokeshire is known for its staggering beauty and the trail along St David’s head, which hugs the welsh coast, highlights this beautifully. It’s an easy walk for most of the way, but careful footing is needed where the trail kisses the cliff edge. Brave the unnerving terrain and you’re rewarded with some unforgettable views: secluded beaches untouched, mysterious coves, and (if you’re lucky) porpoises and seals lazing along the golden shores. Since the 19th century, Stanage Edge’s four miles of gritstone cliff has attracted climbers, eager to scale one of the Peak District’s steepest slopes. It’s easy to see why the Edge is so popular. Starting your walk from the village of Hathersage, you’re provided with miles of striking rugged moorland. The trail is littered with remnants of the past: weathered millstones and crumbling ruins add to a historic intrigue. Watching climbers scale the jagged Edge also makes for a captivating sight. Nestled deep within Wensleydale, this trail offers remarkable beauty. It’s an easy route, and it won’t take you long to reach Aysgarth’s hidden jewel. Within the woods, where you can find birds such as treecreepers, chiffchaffs and warbles, hides a picture-perfect waterfall. The route is well maintained and suitable for young children. There’s also Castle Bolton nearby to explore, and if you’re lucky, you could spot Roe deer wandering around the countryside. Anyone madly in love with mountains will be in awe with Tryfan. With its pointed edges and deep crags, Snowdonia’s mountain is frequented by experienced hikers scrambling up the north ridge to see the iconic Adam and Eve rocks. If you’d prefer a more gentle walk, Tryfan offers various routes that allow you to soak in the views of Snowdonia’s rolling hills and stunning valleys; arguably some of the best views you will find in Britain. If you forget to bring a camera to Old Harry Rocks, you’ll regret it. From Studland Bay, this Dorset coastal walk snakes along the golden coast. At times, you’re forced to walk close to the chalk cliff edge, so good footwear is a must. Once you reach the famous rocks, you can see breath-taking views of Poole and Bournemouth. The trail is filled with wildflowers and butterflies in the hotter seasons and is equally captivating on a moody and misty winter’s day. Malham Cove will set your imagination alight; it is truly unique. From the village of Malham, meander your way across stunning farmland towards this special landmark. Once you arrive, your eyes will be glued to a rare view. Malham Cove is a mighty limestone formation, shaped like an amphitheatre enveloping the land below. Reach the path above, and stand where Harry Potter, the Deathly Hallows was filmed, on rare limestone patterned rocks. Endure the precarious trek to Blencathra’s summit to bask in some of the Lake District’s most astounding views. Prepare for the changeable weather; this hill is exposed to the elements and the climate can change from clear to wet and rainy in minutes. If you’re an inexperienced hiker, there are plenty of guides happy to offer you valuable information on the best routes to take. 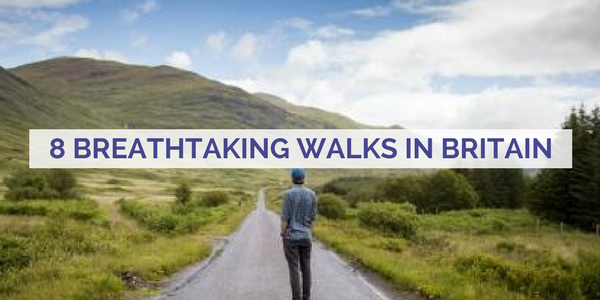 Complete the trek once, and Blencathra’s stunning scenery will lure you back in no time at all. On a beautiful summer’s day, the most southerly point in Cornwall will make you feel like you’re abroad. With azure blue waters on one side and land with rare flora and fauna on the other, a day spent walking along the Lizard Peninsula Coast will instantly transport you into holiday mode. The coastal vista is breathtaking, with secluded fishing villages scattered across the land. The weather here can be unpredictable, however, so set out with a raincoat and sturdy walking boots to be on the safe side. It’s easy to overlook Britain in favour of traversing across distant lands. But in doing so, you’re missing out on unforgettable hiking experiences. So pick a beautiful day, and make it your goal to explore some of Britain's most breathtaking walks. Giving your children some responsibilities around the home is a great way to help them to become more independent. It also frees up time to spend together as a family, rather than spending all your free time on chores. Here are some examples of age appropriate chores to get the whole family chipping in. 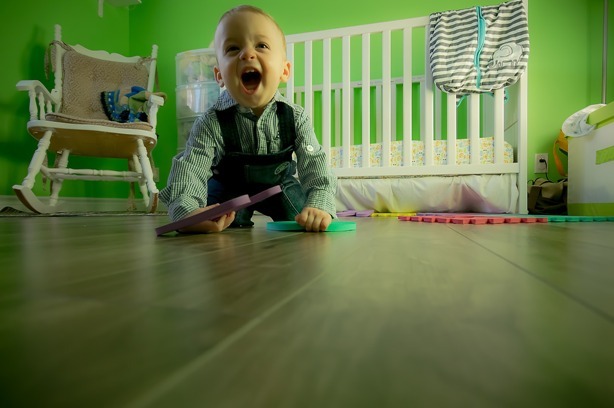 For children who are very young (around 2-3 years old) it might not seem like there are many things that you can ask them to do which they will be able to handle, but you’d be surprised. Some examples of easy chores that they will enjoy include picking up their toys and putting them away in their toy box, helping to dust non-fragile items or putting their dirty clothes in a wash basket. Just make sure they are supervised very closely to make sure no accidents happen. With slightly older children (4-5 and 6-7) there are a wider range of activities that you can delegate. As well as some of the ideas listed in the previous section you may be able to ask them to help with some light cleaning by dusting, mopping and brushing floors. You might be able to get them to sort and hang up clothes from the washing machine and set and clear the table for meal time. Quite mature children might also be able to begin taking care of some of their morning routine such as pouring their breakfast cereal, brushing their teeth and combing their hair. However, it’s still important, at this age, to keep an eye on them during the process. For children who are aged a little bit older (around 8-12) but not yet teenagers, you can ask them to undertake all the chores previously listed as well as some additional more grown-up responsibilities. This might include taking the dog for a walk down the road, emptying the bin, washing the dishes, hoovering carpets and keeping their bedroom reasonably tidy. 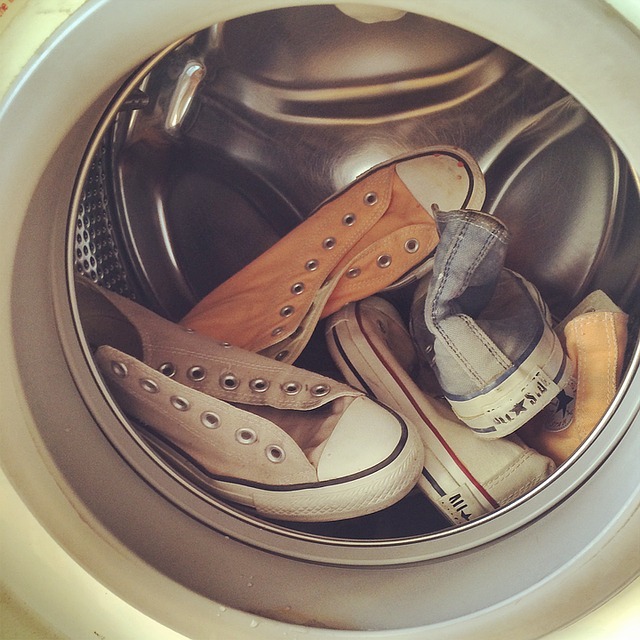 While they might put up a fight about it, teenagers can handle a good amount of chores. On top of all the tasks mentioned earlier you can also encourage them to mow the lawn, do some light cooking, buy groceries and make their own bed. Looking for more secrets of the cleaning trade? Visit us at https://timeforyou.cleaning/uk/ for more tips and advice for cleaning your home, de-stressing after a tough day and much more. There are lots of different myths surrounding which type of water to use in your iron. tely fine. The truth of the matter is that tap water is perfectly acceptable in the majority of cases BUT if you live in an area with hard water levels then you may find yourself getting through a lot of new irons. Click here to find out if you live in a hard water area. ble to give it a simple vacuum or wipe down with a cloth to keep it running efficiently. It’s not only with irons that the level of sediment in your water can cause problems. Where possible you should avoid using tap water to brew your coffee, especially if you live in a hard water area. Filtered water or bottled water makes for a tastier brew and will be less likely to leave nasty leftovers in your appliance. If you do notice a residue build-up then you can easily clean it away with a simple mixture of water and apple cider vinegar. ination and catching a nasty bug. You can clean your microwave with a bowl of water and lemon juice quite easily. Simply mix up a bowl with half a cup of water and half a squeezed lemon, leaving both sides of the lemon floating in the water. Microwave the bowl of water for a few minutes, allow it to stand and cool slightly then simply wipe the microwave clean with a soft cloth. A common cleaning tip that is banded around is to use a lining of foil at the bottom of your oven to catch any drips and spills from whatever it is that you are cooking. It seems like a clever idea but you can actually cause real damage to your oven. Many of today’s modern day ovens have a heating grid underneath the bottom of the oven which means that the foil itself becomes hot causing it to melt and stick to the bottom of your oven causing sometimes irreversible damage. mbs to make their way into delicate parts of your toaster becoming a fire hazard or hindering their functionality. Many of today’s toasters have solved this problem by providing a catcher which you simply slide out before throwing the crumbs in the bin. If you want to keep your vacuum performing well for years to come then it’s essential that you clean the filters. Leaving it too long between changing or cleaning your filter can cause dust to clog the interior parts of your vacuum which with time will disrupt its function. To clean, remove your filter and give it a gentle brush over your bin. Some types of filters can also be soaked and cleaned with water; however you should always read the instruction manual first to make sure. ner. In fact, you may find that it leaves a residue on your dishes meaning you have to wash them again. If you’re looking for a sparkling shine then make sure that you scrape off your plates and don’t overcrowd your racks with too many items. A good blender can transform your kitchen, helping you to make smoothies, sauces and shakes. However, with heavy use it’s easy to end up with seeds and other types of residue leftover and it can be hard to clean it properly. One way to make sure your blender is spotless is to fill it with a mixture of water and a touch of dishwasher detergent, blend it lightly and then rinse it with cold or warm water. Some people out there really enjoy the activity of weeding; they may even find it actually relaxes them and they relish the opportunity. But this blog is not for those people. No, this blog is for the people who can’t stand the idea of spending what little free time they have panting and sweating and trying to pull up a stubborn weed from beneath their carefully planted Geraniums. Rather than going gung-ho on your garden and enduring a mammoth session of weeding once a month, you should try to do some light weeding every couple of days. This will ensure that your garden stays beautiful but will also help you avoid a visit to the chiropractor. Planting in raise beds simply makes it difficult for weeds to worm their way in amongst your plants and steal away all those good nutrients meant for your plants or vegetable patch. Seeds from weeds can lie dormant for up to 30 years before they germinate but by using a raised bed you can control it to a degree. By using a raised bed you can fill the frame only with compost and soil which are free of weeds and even if any are spread through the wind you should find that it is much easier to bring them up and remove them. Square foot planting involves planting all of your plants close together so that there simply isn’t much room for weeds to grow. Even if they do worm their way in then the fact that you’ve square foot planted will make the job of removing them much easier as they’ll be concentrated together rather than spread out all over the garden. One of the worst mistakes you can make regarding weeding is to give them time to grow. You might spot a weed and initially think it might not be much of a problem but the longer you leave it the longer the weeds will grow and the harder it will be for you to rip up. Always use rainfall to your advantage. 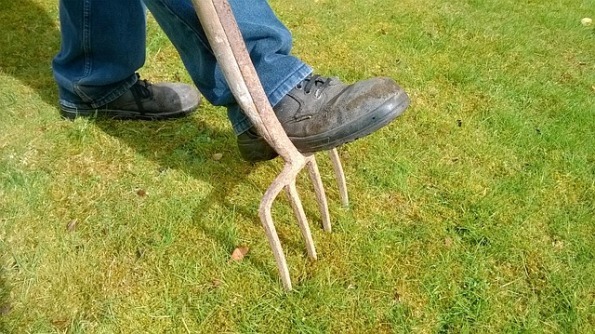 You’ll find that it is 10x easier to bring up weeds when the soil is moist – the roots just seem to lose some of their grip and slide out much easier. So try and time your weeding within 48 hours of a good rain fall. If you think rain is unlikely then simply do the rounds with your watering can and then go back and weed a couple of hours later for the same result. One final tip for any extra stubborn weeds that crop up is to blast them away with our special homemade weed killer recipe. 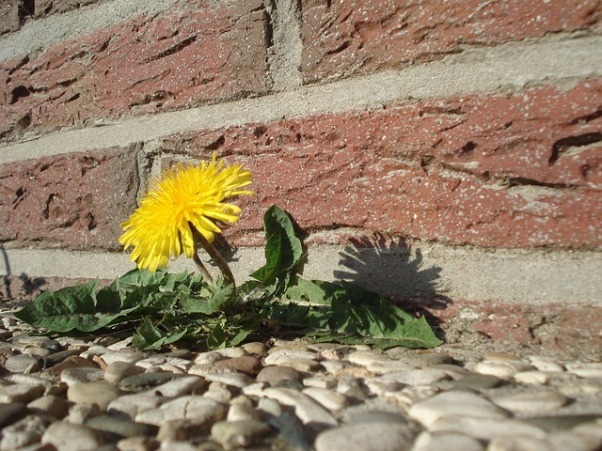 It’s too strong for weeds in soil but perfect for those weeds that tend to crop up in cracks in the concrete. Mix together a dose of white vinegar, salt, lemon juice and a tablespoon of dish soap. Now wait for a sunny day (without much wind!) and spray on those pesky plants. You’ll find that in 2-3 days those difficult weeds will be completely obliterated! Do you enjoy gardening? Do you have any special tips on weeding or creating a garden sanctuary? Tweet us @TimeForYouGroup and let us know, or alternatively visit us at https://timeforyou.cleaning/uk/ for more tips and advice. We live in a high pressure society. In fact, the average adult in the UK encounters around two hours and 28 minutes of stress each day, which equates to six years and seven months for females and six years and two months for males in a lifetime. With so much stress we can often feel out of control and unable to cope. But what if there was a way to keep calm and relaxed when you are feeling particularly stressed or anxious? Mindfulness is based on the principle that our thoughts control how we feel. So, if you spend lots of time thinking about negative things then as a result you will feel lots of negative emotions. Our brains also spend lots of time thinking about things that haven’t yet occurred just yet which can make us feel anxious or worried, and also thinking about things that have already happened which can make us feel sad, angry, regretful or depressed. Our minds are constantly wandering and according to some research we are only focused around 50% of the time such as when we are completing a mathematical problem or washing the dishes. So can mindfulness help us to feel more engaged and focused in the present moment? Mindfulness is derived from eastern practices which have been used for thousands of years to help people reduce their worries, stress and pains, whilst simultaneously helping them improve their concentration, creativity and health. What’s more mindfulness doesn’t require you to join a programme, read any books, download an app or part with any cash. You simply need to be willing to dedicate a small amount of time to it each day. For 10-15 minutes find somewhere quiet and begin your mindfulness routine. Sit up with your back straight, close your eyes and concentrate on your breathing either through your mouth or through your nose. Concentrate on your breaths, in and out until the 15 minutes are up and your timer goes. Most people find that it is incredibly difficult to keep their brain concentrated like this. However, you shouldn’t be disappointed if that happens to you. It should be your long term goal and will come with practice. When your mind drifts you should note that it has drifted, accept that it has drifted and then bring your thoughts back to your breathing. Just keep trying for those 15 minutes every day and it will get easier each time. Mindful is a physical workout for your brain and mindfulness can have real benefits on your brain. In fact scientific research has shown that the parts of the brain responsible for creativity, happiness and emotional intelligence all begin to strengthen and even grow in people who practice mindfulness for just a couple of months, while the parts of the brain responsible for addictive behaviours, stress and depression weaken and start to shrink. Because of these benefits, mindfulness is being taken on board by more and more people and even by large organisations like the NHS, Google, Apple and even the armed forces who recognise the benefits for their employees. 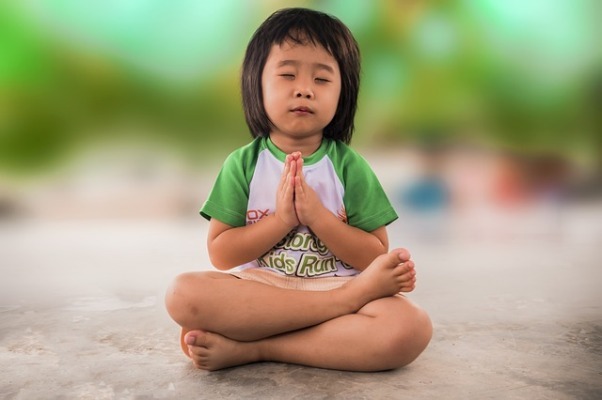 While in schools in Australia children are being taught to overcome their negative emotions by pausing, taking a breath and bringing themselves back to the present moment. Have you tried mindfulness? Has it been helpful for you? Tweet us at @TimeForYouGroup and let us share your experience. We use our phones so much in the modern world that the idea of leaving home without it seems scary, if not downright absurd to some people. The action of patting down our pocket for our wallet or purse and keys is now less important than turning out our pockets to make sure we’ve remembered our smart phone. But in the process have we overlooked some important aspects of being human and some of the benefits of being – unplugged? Here are five reasons that you should leave your phone at home more often. In a survey by Mequillibrium, over 61% of people asked claimed that they couldn’t ignore their smart phones or resist the urge of checking their updates at least once within the hour. Sadly this amount of connection to social media and our emails means that we often can’t stop ourselves from swiping on our phones, even when we’re spending time with family, friends or even customers. Whether looking down constantly while someone is talking to you to check an email, or looking at cat photos on Instagram while you’re supposed to be watching a film with your spouse, our phones can drive a wedge between our human relationships and give off the impression that we are rude – even if it is an ‘accepted’ level of rudeness. While some people have hailed smart phones as productivity boosters, the fact that the average user checks their phone around 110 times per day has to have some level of impact on your ‘bricks & mortar’ work each day. Smart phones invite us to procrastinate and put off our most important work while we scroll down our ‘feeds’. 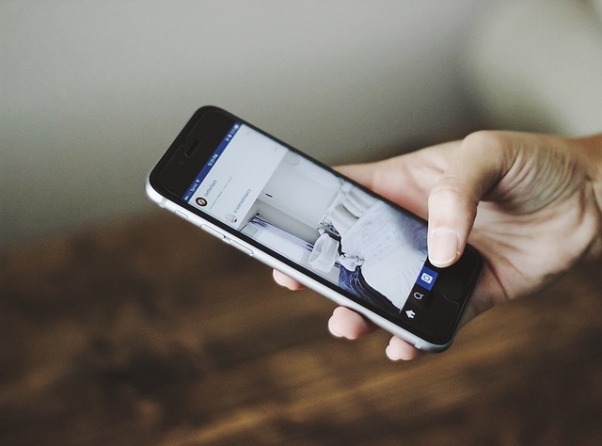 According to HealthDay News recent research conducted in the UK has found a link between smart phone usage and rising stress levels, with some smart phone users claiming that they feel a pressure to maintain their ‘social network’ and keep their social channels constantly updated. Does this sound familiar to you? Try swapping your phone for a book or a newspaper next time you have some down time and see if your mood improves. Despite what you have been conditioned to believe, smart phones aren’t an essential part of our daily life. Try and remember what life was like before you were glued to your smart phone. How would you navigate without Google Maps? How would you pay for things? How would you communicate with your friends? Sometimes switching off can change the way you experience something, making you feel less passive when you experience it instead of being guided by your phone. While it’s true that in some jobs it is literally a matter of life or death as to whether you are contactable, nine times out of ten it’s not. So that email that pops up on your phone can wait until you’re back at your desk and even voice callers can leave a voicemail if it’s important. You’re leisure time is a valuable part of your daily routine and helps you to refresh yourself ready for your next working day. Are you struggling to get a handle on the pressures of your daily routine? See our guide ‘20 proven ways to wind down and relax’ for more tips on stress busting.